← Spring Blog Hop! Keepin’ it Fresh, Clean & Simple for Spring! Old Friendships, Very Loved Projects and Doll House Party Invites! We all have that one friend that we have known longer than anyone. One that you grow up with, the one that you have done some of the silliest and most outrageous things with. Watched each other head off to college, get married, have kids,struggle, succeed and grow. The one friend that even after years of letting life get ahead of keeping in touch regularly, once you reunite, you pick up right back up with finishing each other’s thoughts in conversations and just know them to a level of almost being a part of your family. I have that in a dear friend I have known for over twenty years and in the past couple years we have settled in life enough to keep up with each other more even though we live 7 hours apart. I was thrilled to have the opportunity to make party invites for her brilliantly themed vintage doll house birthday party she is planning for her sweet 3 year-old little girl. She and I share a love for vintage anything and if you throw in a french twist you have us hook, line and sinker. So to me once she told me the theme, I knew exactly what I was going to create. 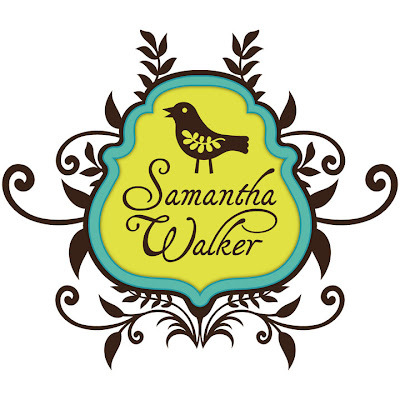 As many of you know, this year I am a Guest Designer for Samantha Walker’s die cuts you can find over at the Silhouette Store. I remembered seeing a house card when perusing her stuff and decided to go from there. I did not use all of the cuts that came with the house since I had volume of invites to make, but I managed to improvise some of the layers and add embellishments to make this just be the sweetest 12 darn things I have made in a long time. We all have those projects that just evolves into something near and dear to our creative heart. Believe it our not, these were hard to part with, but seeing how thrilled my friend was with the end result, it was a joy to send them away. I bought the doll house via the Sillouhett Store and kept the size the same. It fits beautifully in A2 envelopes! I opened up several pages and began to ungrouping the piece together the pieces I wanted. The base of the house I cut on white card stock and then cut another layer on double sided designer card stock from Crate called Little Bo Peep. This worked out beautifully since I could cut down that house and flip the side that was the back of the house and use as another front layer. I inked each layer with coordinating stamp ink (Close to My Heart Cotton Candy). I secured layer to base using my ATG. For the windows, eaves, flower box, bird and doors, I cut the shapes out from American Crafts 6×6 stacks I found at Target! I really wanted to translate this was a birthday party invite so I wanted the door to look decorated with birthday pennants and banners. American Crafts sure delivered and to scale! I inked layers with stamp ink (Close to my Heart Topiary, White Daisy, Cotton Candy and Stampin’ Up Pumpkin). I secured with Scotch Quick Dry Adhesive and Pop Dots for those items that needed some dimension (bird, flower box, sentiment). Using some buttons from Close to my Heart I added door knobs and added pre-made roses from the Recollections collection that were on clearance! LOVE! For the front sentiment, I used a standard cut that came with my Silhouette Cameo software and tweaked and sized it to my liking. The font was French Script! I used the same cut (flipped vertically and increased size) and font for the party details for the insert. I inked edges with stamp ink. It was a super fun project to plan and execute. She has shared some of the party decor she has been making and I managed to coaxed her into sharing her A-M-A-Z-I-N-G wooden doll house neighborhood she crafted along with this post! She is crazy talented and I am thrilled we get to share the same blog space! What is funny is that neither of us really saw our projects while making them and look how well they pair with each other! I guess that is the result of being old friends. a cute shot my friend did before she sent them out. I love this idea! Thanks for sharing a piece of lovin’ what you do with cherished friends” pie with me. Posted in Pie's Parties, Samantha Walker Designs, Silhouette and tagged crafts, DIY, doll house party, Little Bo Peep Crate designer paper, little girl birthday party ideas, Samantha Walker, silhouette projects, vintage doll house birthday party, vintage doll house party decor ideas, vintage doll house party invites. Bookmark the permalink. Arin – these invites are truly adorable and beautiful, They so compliment the wooden houses!! I love all the different papers you used. Just fabulous. Have a great weekeend. Thank Karon! You have a great weekend yourself! Thank you Vanessa! Have a great weekend! Your invites look amazing and so sweet. Love the little touches of the bird on top and the flowers in the window boxes. I LOVE these invites! They are adorable! You’re friend is so lucky to have you do this for her! I have 5 friends that I have known for over 20 years, we get together at least once a year for a girl’s retreat weekend and we always just pick up right where we left off – it’s awesome! ooooh man, these are awesome girl!!! The papers and the details are fabulous!! So cute!